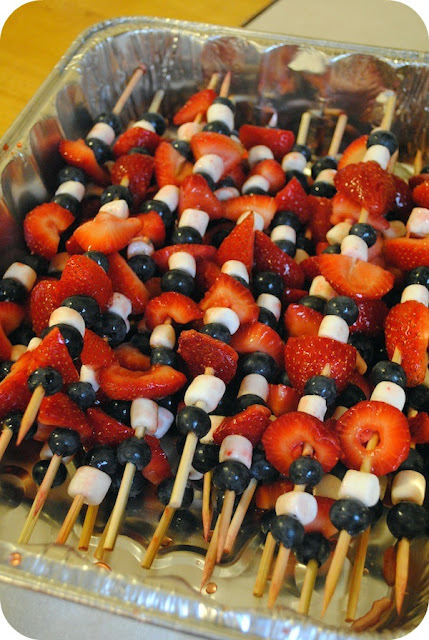 Last minute treat for your BBQ and Happy 4th of July! 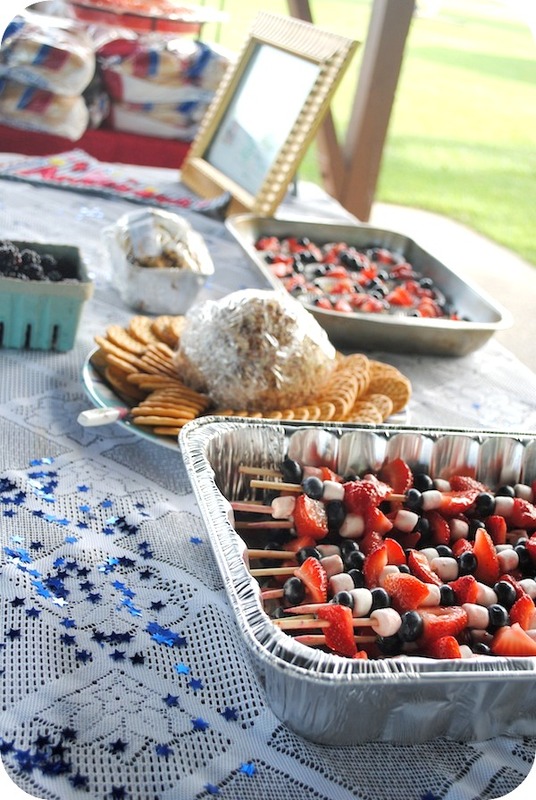 We just got home from our town’s 4th of July parade then lunch! 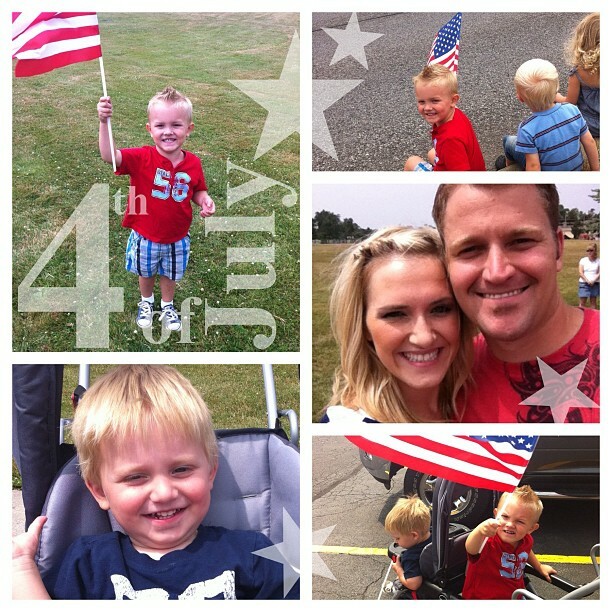 We had a blast but I wanted to pop in and say “Happy 4th!” to our amazing readers and your families! Here’s our squinty eyed family at the Cheektowaga Town 4th of July parade! Lots of sun and wind made for fun parade weather. We had a blast and enjoyed every minute of it with our friends. If you’re headed to a BBQ like we are tonight, you can whip these up in no time! First, wash and rinse your fruit. Let it dry or pat it dry with a paper towel. Next, cut up strawberries into halves or quarters. Mine were feeding lots of little ones so I cut mine into quarters to make them less of a choking hazard. 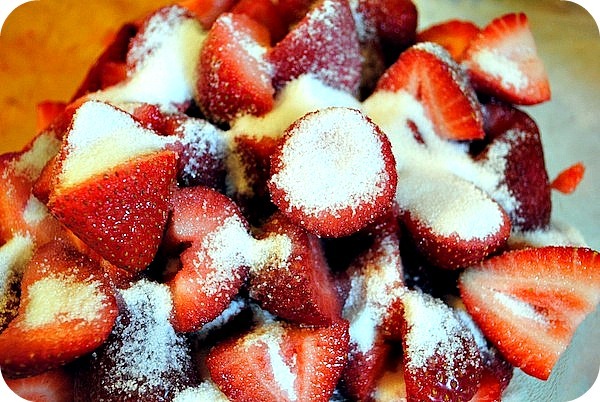 Add sugar to your bowl of cut up strawberries and toss to coat them in a light coat of sugar. This makes them a little more dessert-y! 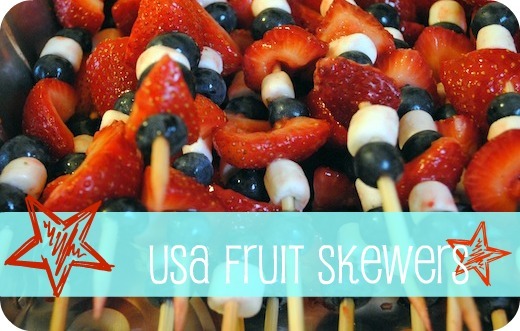 Finally, put your fruit on the skewers! 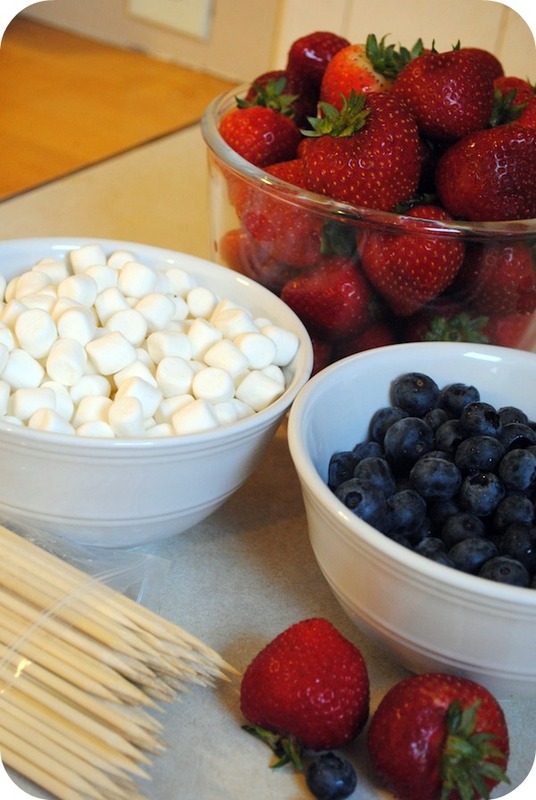 The marshmallows can get a bit sticky if you get them wet so try to keep your hands dry as much as possible. You can also use sliced bananas instead. Now I’m off to attempt some USA cupcakes and head to a BBQ! Enjoy the rest of your 4th of July week and Happy Birthday USA! Be safe and enjoy the fireworks tonight! One of the highlights here is the wine list — and the wine prices. Offering some great wines at some of the most affordable prices in the city, Buffalo shows KL diners that they don’t need to splurge to enjoy quality wine or a good night out for that matter.